July 12th – 17th, 2016 – Retreat into the beautiful redwood forest, unwind with restorative yoga, experience deep meditation, enjoy organic meals, converse with fascinating people and best of all, receive Buddhism’s most profound teachings…. May 29th, 2016 – Avoid making yourself sick through improper detox methods. In this class, Satya Shiva will discuss and prepare kitchen remedies from the east for managing cleansing, averting detox reactions and responding to on-coming viruses. May 29th, 2016 – Harmonize the energy of your body and mind, break through blocks, detoxify and re-energize using breathing, postures, movement and meditation. 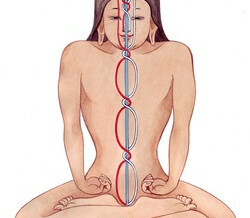 Tibetan Yoga is an enlivening practice which leads your body to a state of natural relaxation. Join Satya Shiva for an energizing Tibetan Yoga class at Lightning In A Bottle festival in the Namaste Yoga Pavillion.